Shadowbox is an online media viewer application written by the genius Mike Jackson. When a link or picture is clicked, it veils your web page like dimming the lights in a theatre, then opens a window with a cool animation and plays your movie. 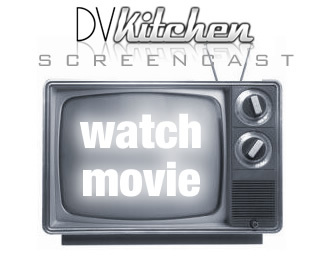 You can now shadowbox your Quicktime or Flash movies from DV Kitchen with just a few clicks, since the code is all written for you! For more info on Shadowbox, visit Mike’s site. For more info on DV Kitchen, click here. This is the greatest thing to happen to me in my life. Ok, that’s not true, but it’s definitely the greatest thing to happen to me today.